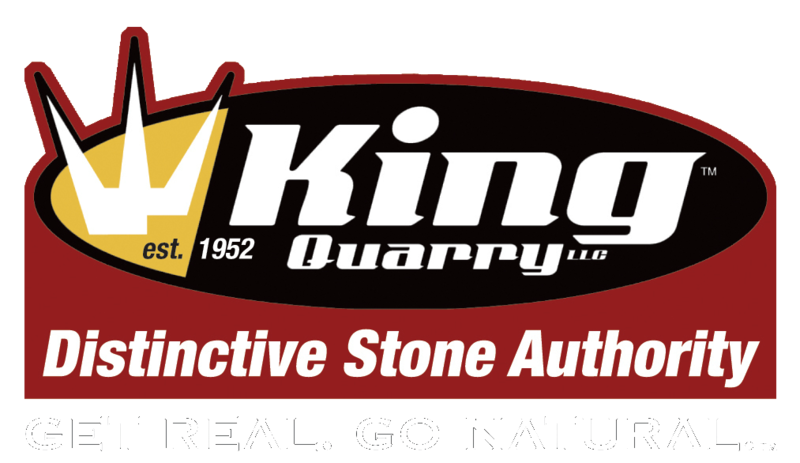 King Quarry is a quarrier and manufacturer of Natural Thin Stone Veneer. Our stone emerges from a bedrock quarry located in Sugar Camp, WI. Our bedrock quarry produces hard granite and is one of very few hard granite quarries in Wisconsin. 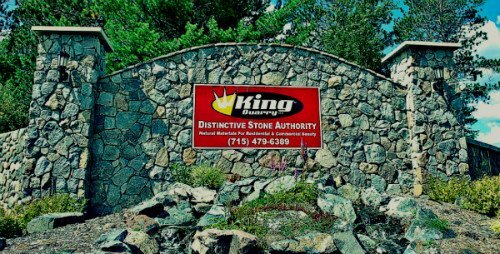 Originally opened in 1952 as an aggregate source for road building aggregates, we at King Quarry discovered that the integrity and character of the stone processed in our quarry was superior as a type of stone to be used in landscapes, hardscapes and building projects. The color from this quarry ranges from shades of pinks, tans, greens, browns, grays and purples to charcoal black and every color in between. Because all of these colors emerge from the same source, they naturally compliment each other as well when used together. It’s not just the color of our stone that we feel is unique… the texture and character of the flecks, grains, shapes and ‘story’ of the stone is in itself a distinctive style rarely replicated in the stone veneer market. We invite you to take a look at our grantie styles and hope you will consider King Quarry for your next building project. LET US HELP YOU MAKE YOUR NEXT PROJECT… A PROJECT OF DISTINCTION!